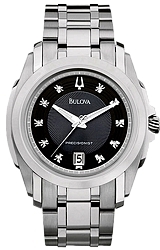 The Longwood Collection of Bulova Precisionist Watches are refined, classically styled and extraordinarily good looking. But beneath these sculpted exteriors are some of the most accurate watch movements in entire the world with an accuracy within 10 seconds per year. 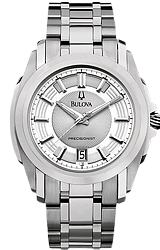 The hallmark of the Bulova Precisionist Watches is their smooth flowing sweep second hand. This smooth sweep second hand is actually beating 16 times per second, even more than most highly prized mechanical watches. 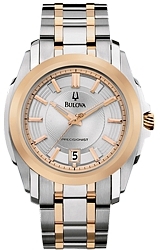 And, unlike mechanical movements, these quartz watches are strong, extremely accurate and virtually trouble free.